£50 booking deposit,£75 refundable damage deposit. 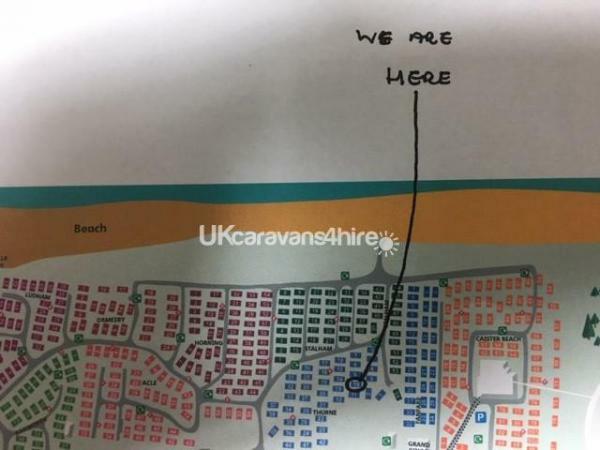 6 berth deluxe caravan with central heating and double glazing for hire on haven caister park very close to the beach and a short walk to the main complex. Our deluxe van consists of main bedroom with TV and a en-suite inc shower and a bedroom with 2 single beds which can be pushed together to make a double,a pull out double sofa bed in the lounge make it available to sleep 6 people. There is a second bathroom also comprising a shower so no queuing to get ready in the mornings. A large comfortable seating area with a large tv with Freeview and a DVD player with a selection of DVD's and an xbox 360 and a selection of games. A dining area with seating for 4.fully equipped kitchen with range style gas oven fridge with freezer compartment microwave toaster and kettle. A £50 deposit is required on booking and a £75 damage deposit which will be refunded if no damage occurs. Haven caister is a family friendly park with its own beach. On the park there is a fish and chip shop, pizza parlour and amusements and indoor soft play areas swimming pool with slides, miniature golf and bike and go kart hire as well as a climbing wall and football and tennis court. The park is close to Great Yarmouth with all its attractions like the pleasure beach and racecourse and greyhound track and is very close to the Norfolk broads etc. duvets and pillows are included but please bring your own bedding. This is a family owned caravan,with high standards and on a quiet area of the holiday park but close to the beach.